Summer's officially OVER, and I don't know about you but I feel like it really flew by. I mean we are already wrapping up Elle's first week of school. I can hardly believe that Elle is in the 3rd grade. This year Maveric will be off to Pre-K and since Jagger is 2, we are letting him attend preschool twice a week. Although it's only half days, I am all in my feelings about Jagger venturing off to school. Yesterday, Jagger's teachers came by to do a home visit and we discussed our goals for the year. 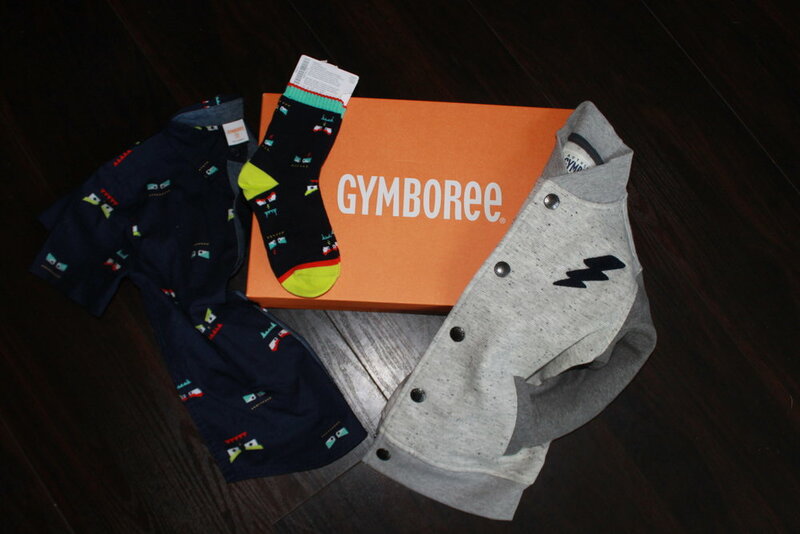 It really resonated with me how important it is to have attainable goals, not only with my self but with the kids as well. .
We have been given the opportunity to partner with Gymboree and share our #KidGoals for the school year and Gymboree really came through with some cool gear just in time for back to school! Here's a snap shot of a few of the pieces, each of the kids have their own style and especially since I have 3 boys, it's so important to get durable staple pieces that will last and be able to pass down to the next "little bro"
My little fashionista Elle, is all about the emjoi's, currently her goals for 3rd grade are to knock those EOG's out of the park! It's funny we just started school and she's already thinking about end of grade testing! 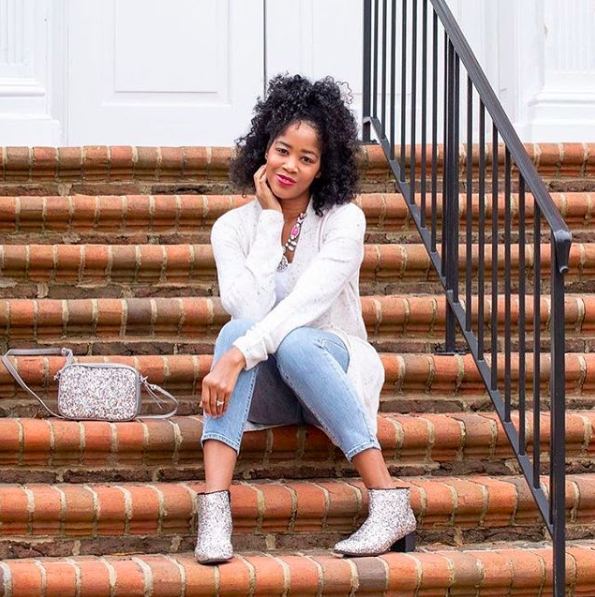 My personal goal for Elle is to come out of her shell and show her secret talents of singing and dancing in PUBLIC! She's awesome and we just want to support her dreams in anyway possible. Maveric is off to Pre-K and we are so excited for him, if you've ever had the pleasure of meeting him, you know he's a BALL of energy and one of his favorite places in to release energy is at the playground! His goal for the school year is to play, eat lunch and go to music class! My personal goal for Maveric is to master his penmanship and continue to indulge in his love for music! Music lessons are coming soon.... I love mixing classic looks with fun looks so pairing this cute monster button up with these awesome joggers just made sense! He's always running, jumping, and climbing so we need his clothes to be durable and functional. As I said earlier, Jagger is headed to preschool and we are thrilled! Since he's doing his speech therapy he's been having more phrases. I am so proud of him so my personal goal for Jagger is to meet new friends and use his words more. We call him the professor because he's so serious and extremely analytical. Boy moms know how much their boys loveeeeee trucks, so of course we went with the truck theme for Jagger. My boys are absolutely obsessed with them, the joggers are so cute and I loved the yellow and blue details at the ankle. Last but obviously not least, was baby Axel. He will still be home chilling with Mommy and Daddy so his goals are to stay cute and keep hitting milestones. He's rocking his awesome onsie because well he's AWESOME! We are so excited about the school year and looking forward to all of the memories to be made. 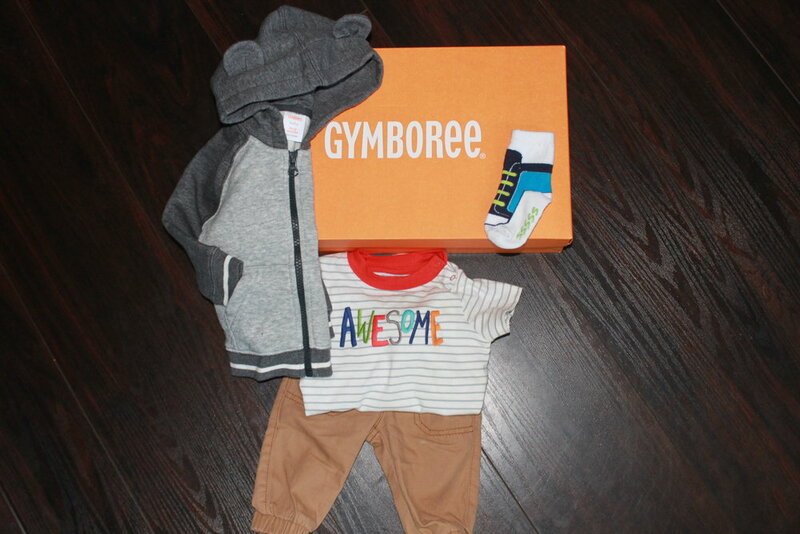 And thanks to Gymboree our kids remain stylish! What are your kid's goals this year? Cheers to a happy school year!!! Don't forget to capture as many memories as possible! Stay tuned for a giveaway!!! Feb 21 Momfession Take 2!